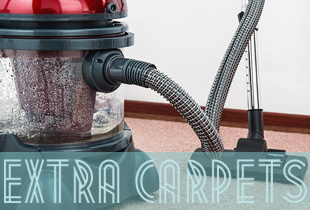 We are definitely your best shot in removing the stubborn stains off your carpets and rugs. Located in North West London, we possess years of experience providing effective and thorough carpet cleaning results that make our customers loyal to our service. We are a professional carpet cleaning service and we have been involved in this line of work for over 6 years- we have perfected our carpet and rugs cleaning solutions and from 2/3 years we apply our diligent expertise into removing stains and refreshing carpets of different fabric. If your carpet is stained and you have already tried to remove the dirt with a regular cleaning but it hasn’t quite worked out we are the solutions to all your problems- with us you are guaranteed to a complete removal of dirt particles and stains- we possess all the necessary tools and equipment to have your carpets cleaned to perfection. Our cleaning technicians are without argument the best cleaners in North West London, we have chosen them because of their many skills at cleaning and removing stains – we also take pride in never mixing our cleaning solutions with harmful chemicals, which despite the fact that they can successfully remove a good portion of the most stubborn stains that are common in our line of business, can and will harm both the fabric and the indoor quality of your house. Having our cleaning service clean your carpets every eight months will enable your children or pets to play freely on the carpet. You will not have to worry over their well-being- whether or not they carpet is safe for them to play. It will be safe if our cleaners have handled it- all you got to do is call our numbers and you will receive a thorough cleaning fallowed by a complete disinfection.